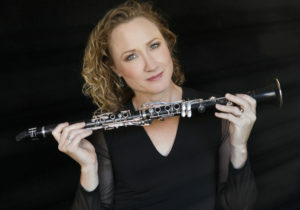 Megan Bilden-Deems performs as the principal clarinetist of the Folsom Lake Symphony and has performed with the Camellia Symphony, Auburn Symphony, California Wind Orchestra, Bear Valley Music Festival, Grand Forks Symphony Orchestra, Fair Oaks Woodwind Quintet and many other chamber ensembles throughout the Sacramento area. Megan initially began her studies as a double major in pre-med and music at the University of North Dakota, studying clarinet from Elizabeth Rheude and conducting from Dr. Gordon Brock. After choosing to focus on a career in music, she decided to return to California and completed her bachelor’s and master’s degrees in music at the University of the Pacific Conservatory of Music where she studied clarinet with Dr. Patricia Shands and conducting with Dr. Eric Hammer. While working on her master’s, Megan served as the graduate assistant of bands, a position that included conducting and rehearsing the University Concert Band and the Symphonic Wind Ensemble. In the spring of 2000, she conducted the Symphonic Wind Ensemble at the Western States Collegiate Wind Festival. Megan currently teaches band, orchestra, choir and music appreciation at Natomas Middle School in Sacramento and lives in Sacramento with her husband and two children.